You may have heard murmurings that music can help in productivity. But is that just an excuse or is it an actual scientific fact? Studies have been conducted. Research has been gathered. The conclusion is: yes, music does help your productivity. However, not all music is the same, and not all times are right for utilizing music as your productivity tool. Music helps to focus your mind on the task at hand, depending on the situation. It also helps to put you in a better mood. When you’re engaged in a repetitive task, your favorite tunes can help to lift your mood. Another benefit of listening to music is how it helps you to get in a more creative mindset. There is some connection between the brain’s function and the playing of music, and when it’s utilized correctly, it works magnificently. Not all situations are ideal for listening to music. When you’re creating or working on something that requires a lot of concentration and creative effort, music can hinder the process because it splits your focus. On the other end of the spectrum, music is helpful when you’re occupied with repetitive activities. When you have a clear objective and a set plan for accomplishing that, music can increase your productivity and your enjoyment of the activity. Another situation where music is helpful is when your environment is noisy. Whether you think you’re tuned into it or not, this kind of background noise—people talking, other’s music playing, etc.—can be highly distracting. Your brain tries to analyze all of this new data, which is very difficult and splits your attention. Pop in the headphones and listen to some music, and you’ll find your productivity going up. What kind of music is helpful? New music isn’t going to be your best option. With new music, it is easy to get distracted, because you’re hearing it for the first time. 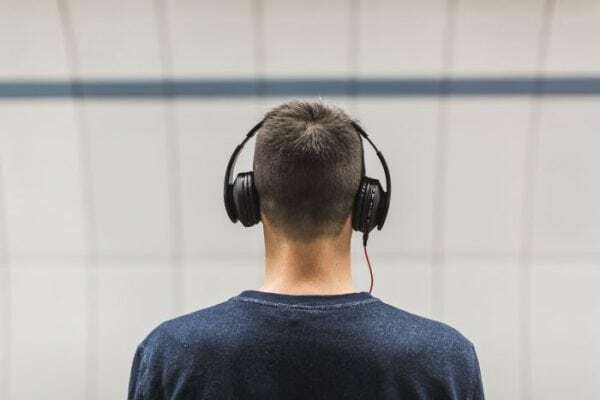 Your body releases chemicals related to this, which causes the music to be more appealing to listen to than the task you’re supposed to be doing. So when you’re working, choose music you’re familiar with. But another parameter would be lyrics. Sometimes, songs with lyrics aren’t the most helpful. When you’re working on those tasks that require more focus, the lyrics can be distracting. Just as if someone were talking to you while you were trying to write an important email. In cases like these, classical music or music with low-tones like jazz, indie, and bluegrass are better options. Movie or video game scores or soundtracks can also be good options to listen to. They’re generally devoid of lyrics and are meant to amplify the experience and focus the listener on what is happening on the screen, not the music. The conclusion? Yes, music can be helpful to your productivity. Just be careful in what kind of music you choose and when you listen to it. Oh, and bring your headphones. Nothing is more distracting at the office than hearing someone else’s music playing.